Users must login. OR they must register in front end in order to submit a booking request. After that they will select the start date and end date in the booking form. 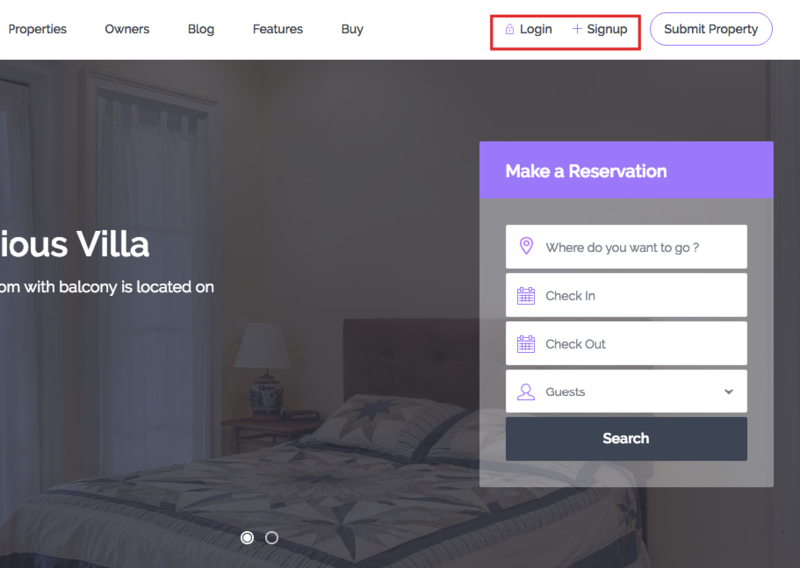 The system will check the availability dates and if the property is free for rent it would display the price calculations considering the various price options the user set up . If everything is ok the user can push the book button again. After the booking request was made the property owner receives a notification that a booking request was made for one of his listings. He will go into admin area – my bookings page – and check the request. If everything is ok he will issue an invoice for the user that made the request. 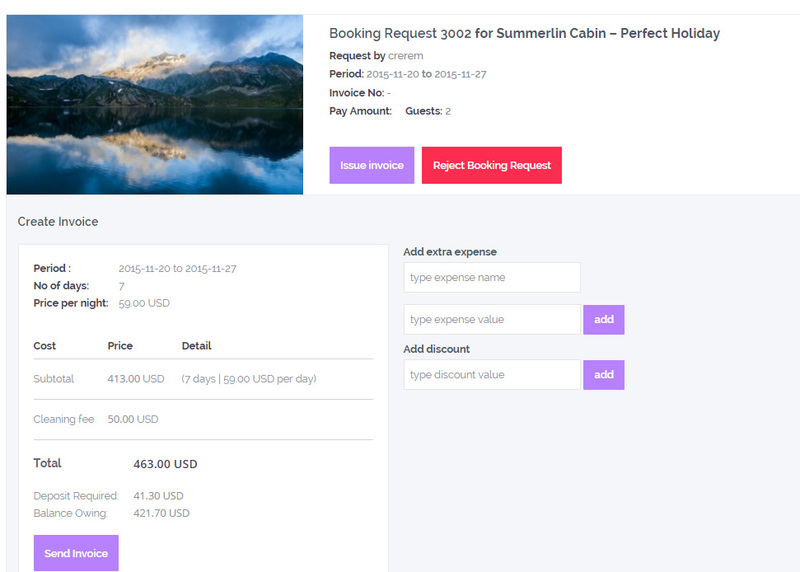 The user that initiate the booking will now receive the message that a invoices is issued and he needs to pay the downpayment value in order to confirm the booking. He will go to – My Reservations page and pay the invoice via Stripe or Paypal. 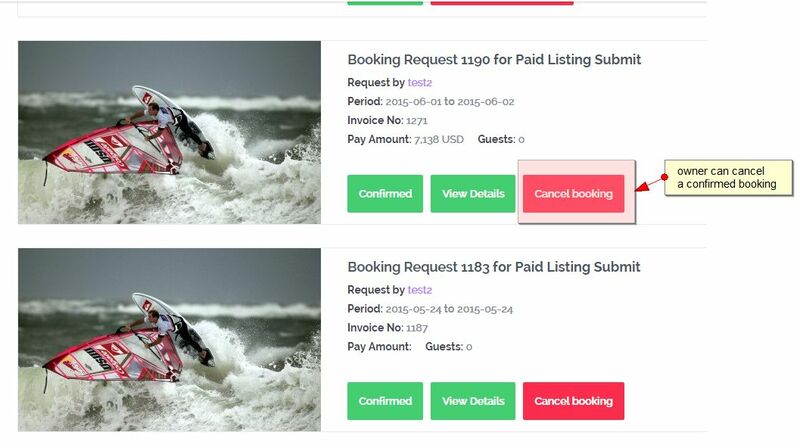 When the invoice is paid the booking will be confirmed and the dates will be blocked in the listing calendar. 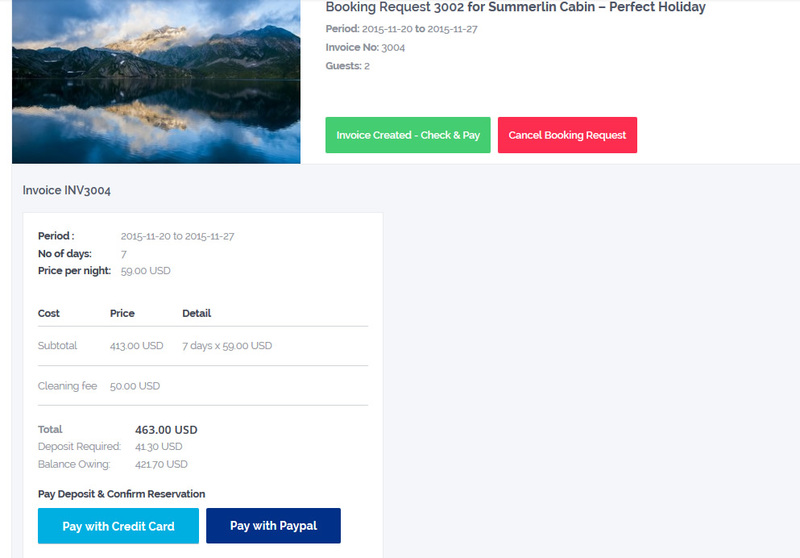 Booking payment options are ONLY for admin to receive a fee of total invoice before booking is confirmed. The rest of the payment must be handled outside the website (between property owner and person submitting a rent request). 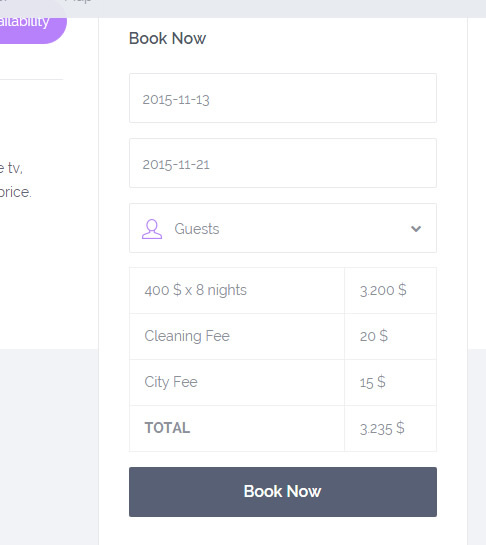 If you do not wish to charge a booking fee, make sure that you add 0 in Theme Options-Membership and Payment Settings and not leave blank. 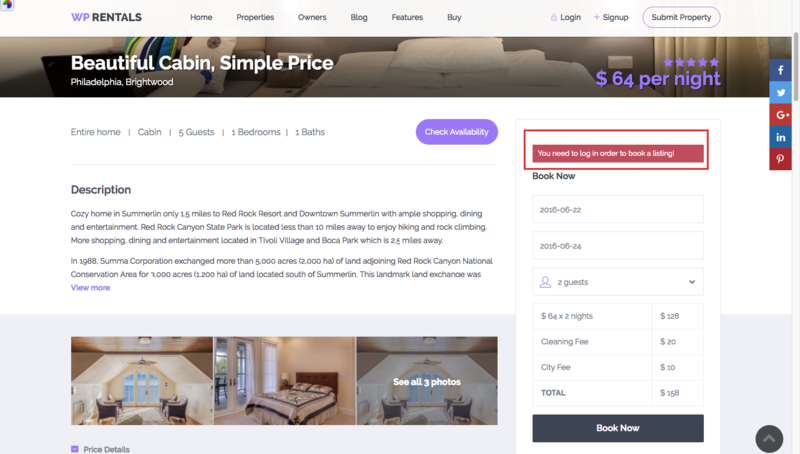 Starting v1.14 property owner can delete confirmed bookings as well.